Sorority recruitment is coming up quickly! We have plenty of sorority goodies for new pledges and returning girls! We offer free gift wrapping and delivery to UK campus. 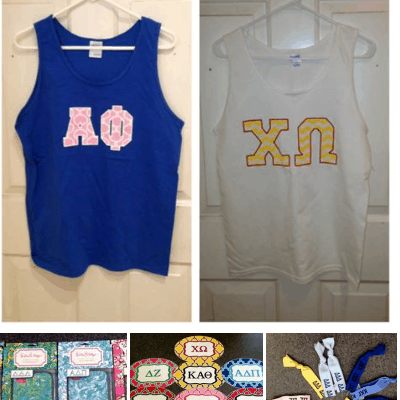 Preorder your sorority items today! Can I build my own bucket and have it delivered to UK for bid day, or are the prepackaged items on your website the only option? Hi Robin. You can build your own bucket! Calling the store and ordering over the phone might be your best option.